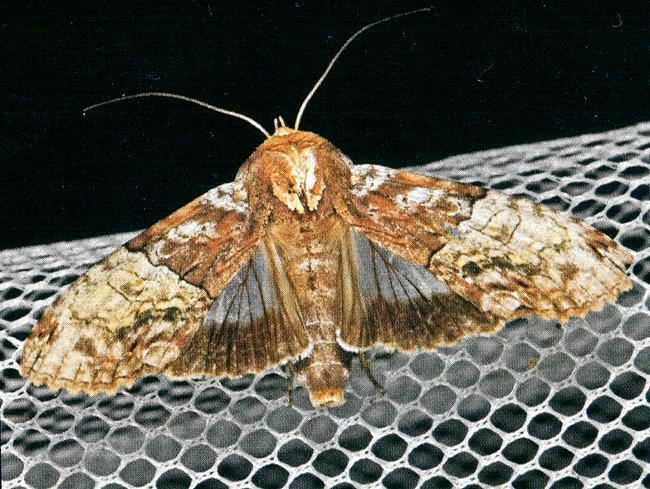 The adult moth of this species has forewings each with a pale area in the basal half, and a brown area in the marginal half, both halves having complex patterns. The hindwings are white with black margins. The wingspan is about 5 cms. 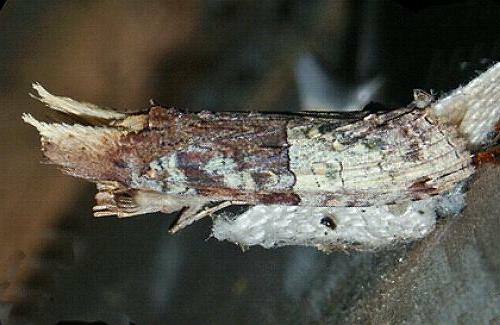 The moth in its resting pose wraps its wings around its body, and erects two large tufts of scales on its head. Volume 57 (1933), p. 162.